10 years ago I worked in a cinema here in Dublin. I still know people from that job such as Sinead, Orla and Tara. Even recently I have come back in contact with people that I worked with while there. It was a busy cinema so every day you would see hundreds of people. Regular cinema goers. Sometimes well known people would come in such as Noel and Liam Gallagher, Brendan Gleeson or The Edge. One pay I was standing collecting the tickets for the screens on one side of the foyer. A young man passed me with his head down and went back into a screen where a movie was playing. I glanced at him and I thought 'that's a nice looking gay man'. It wasn't that he was obviously gay (I hate that term), it's just that sometimes gay men just know other gay men. I didn't realise who it was until he had passed me by. That guy was Stephen Gately. Years later when he was on TV in a show or was doing well in London I would think of that single moment. I was never a fan of Boyzone but I loved Working My Way Back To You their debut song here in Ireland. 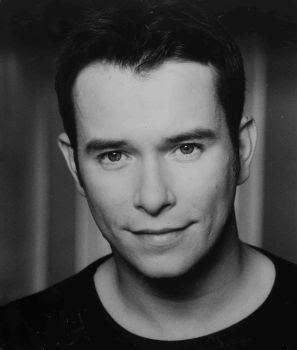 I have always liked Stephen Gately as a gay man who is just himself. I always thought he has a great element of respect and dignity about him. I think Mark from Westlife has as well. Today I read of him being referred to as 'gentle'. Stephen Gately was not a stereotypical gay man and the media dosen't always know how to protray gay men who are actually the most typical of anyone we all know, our gay friends and family members. Yes, he was a performer on stage and some of Boyzone's dance routines are very naff but there were five of them up there on stage all doing the same thing. When they reformed I saw them at an Irish awards show with my friend Connell, they did a melody and they were simply great fun. On a day like today it doesn't matter if you liked Boyzone's music or not, the tragic thing is that a young man has died. It is now several years since Stephen came out as a gay man and since then we have come a long way here in Ireland in relation to how gay men and women live their lives and because of Irish gay people like campaigner Suzy Byrne, politican David Norris, Mark Feehily, superstar Panti, Stephen Gately and most of all ourselves we are now a proud nation. Last year I had extra respect for Stephen and Boyzone when the video for Better was released. In it all the band members have a respective partner and Stephen's partner was not female but is male. I watched it again tonight and felt very moved. Both Ronan's and Stephen's vocals really suited the song, a cover of the Tom Baxter original. The video is here. God bless, Stephen.